Born Henry Jackson, Jr., on December 12, 1912, in Columbus, Mississippi, Armstrong was the eleventh of the family’s 15 children. His father, Henry Jackson, Sr., was a sharecropper and a butcher. His mother, America Jackson was an Iroquois Indian. When Armstrong was four years old, his father moved the family to St. Louis, where he and Armstrong’s older brothers found work at the Independent Packing Company. Armstrong’s mother died in 1918, leaving the six-year-old under the care of his paternal grandmother. 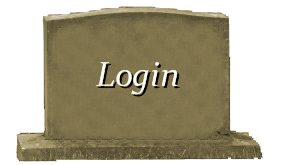 Like his mother, his grandmother hoped that he would pursue a career in the ministry. 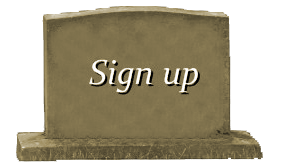 Armstrong, however, displayed no interest in fulfilling these wishes. While attending Toussaint L’Ouverture Grammar School in St. Louis, Armstrong acquired the nickname “Red” due to his curly sandy hair with a reddish tint. Small in stature, he was often the target for teasing. In defending himself against bullies, he discovered his interest in boxing. During his years attending Vashon High School, Armstrong excelled, earning good grades and gaining the respect of his peers. He was elected class president and was selected poet laureate of his class, which provided him the opportunity to read a valedictory poem at his graduation ceremony. Armstrong worked on his athletic abilities, often running the eight miles to school. After school, he worked as a pinboy at a bowling alley. Here he gained his first boxing experience, winning a competition among the pinboys. By the time Armstrong graduated from high school at the age of 17, the Great Depression had arrived. His father, was ill, and struggled to provide for the family. With no money for college and the need to care for his family weighing heavily, Armstrong lied about his age, claiming he was 21 years old, in order to gain employment as a section hand on the Missouri Pacific Railroad. Well aware that his small pay check would never be sufficient to attend college, Armstrong’s life changed one day when the sports section of a discarded newspaper landed at his feet. Reading that a boxer named Kid Chocolate received $75,000 for one bout, Armstrong quickly abandoned his railroad job to pursue a career as a boxer. Armstrong met Harry Armstrong, a former boxer, who became his friend, mentor, and trainer. Taking the name Melody Jackson, Armstrong won his first amateur fight at the St. Louis Coliseum in 1929, by a knockout in the second round. After several more amateur fights, Armstrong moved to Pittsburgh to pursue a professional career. Ill prepared and undernourished, Armstrong lost his first professional fight by a knockout. He did manage to win his second fight on points; however, he decided to return to St. Louis. In 1931 Armstrong, accompanied by Harry Armstrong, hopped trains to Los Angeles to restart his amateur career. 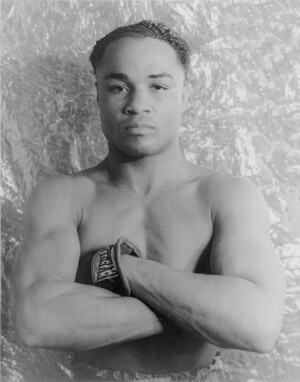 Upon meeting fight manager Tom Cox at a local gym, Armstrong introduced himself as Harry Armstrong’s brother, after which he became known by the name Henry Armstrong. Securing a contract with Cox for three dollars, he had almost 100 amateur fights, in which he won more than half by knockout and lost none. When Cox sold his contract on Armstrong to Wirt Ross in 1932 for $250, Armstrong entered the professional ranks to stay. Standing five feet five and one half inches tall, Armstrong fought in the featherweight class. After losing his first two professional fights in Los Angeles, Armstrong began to consistently win his bouts. He became known for his whirlwind combination of constant movement and knockout punches, earning him numerous new nicknames, including Homicide Hank, Perpetual Motion, and Hurricane Henry. Because the purses were small, Armstrong fought often, usually at least 12 times a year, and supplemented his income by operating a shoe shine stand from 1931 to 1934. 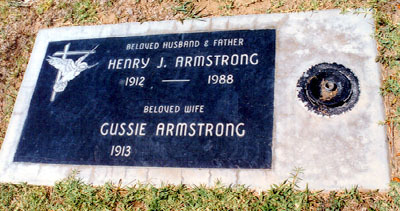 Armstrong first married in 1934. He and Willa Mae Shony had one daughter, Lanetta. After that marriage ended in divorce, Armstrong married several more times. Entertainer Al Jolson, had witnessed one of Armstrong’s bouts and was so impressed with Armstrong that he convinced New York manager Eddie Mead to take on the boxer, and Jolson supplied $5,000 to buy out Ross’s contract rights to Armstrong. In a publicity stunt, Jolson and Mead falsely advertised the buy-out price as $10,000. When Ross demanded the full amount as publicized, entertainer George Raft put up the additional funds and became the third member of Armstrong’s management team. In an attempt to gain popularity and therefore more important fights with bigger purses, they set a goal of winning titles in three different weight divisions, an accomplishment no boxer had ever achieved. Armstrong went on to achieve that goal of winning the undisputed featherweight championship title on October 29, 1937, from Petey Sarron, the undisputed welterweight championship title on May 30, 1938, from Barney Ross, and the lightweight championship title on August 17, 1938, from Lou Ambers. After announcing his retirement in 1945 at the age of 32, His final professional record stood at 181 recorded bouts, 151 wins, 101 by knockout, 21 losses and 9 draws. He traveled to China, Burma and India with George Raft as part of a group sent to entertain soldiers. Upon his return, he became a boxing manager for a time, but his increasing use of alcohol led to his arrest in Los Angeles. In 1949 Armstrong experienced a religious conversion and turned his life around. Two years later he was ordained as a Baptist minister at Morning Star Baptist Church. His preaching drew significant crowds to revivals and other meetings. Desiring to help at-risk youth, he created the Henry Armstrong Youth Foundation in Los Angeles and funded the organization from the profits of two books he wrote: Twenty Years of Poem, Moods, and Mediations (1954) and his autobiography, Gloves, Glory, and God (1956). He returned to St. Louis in 1972 to become the director of the Herbert Hoover Boys Club. He also continued his ministry as an assistant pastor of the First Baptist Church. Six years later he moved back to Los Angeles. On October 22, 1988, he died of heart failure in Los Angeles.